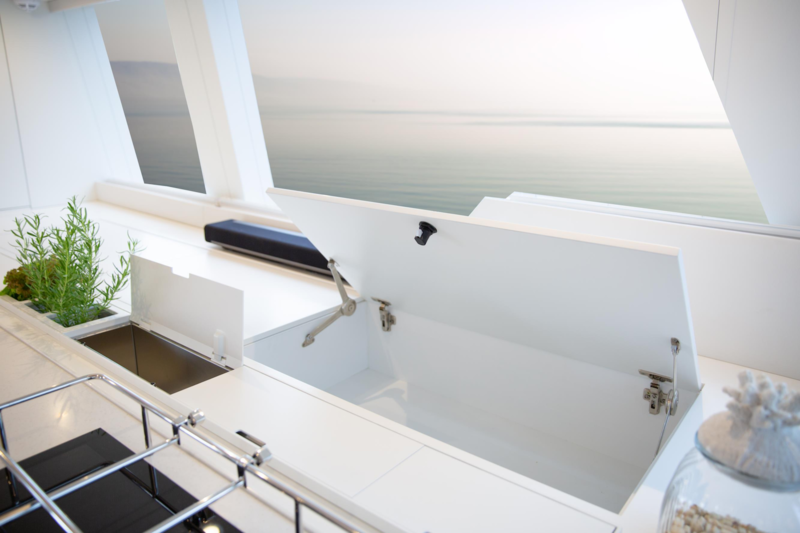 The swim platform can be used to store a tender and when clear, provides guests with access in and out of the water. 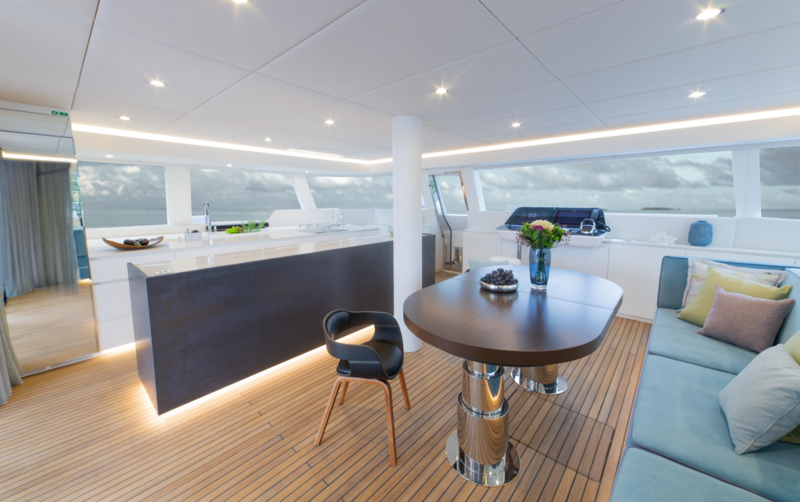 The main deck aft has a generous shaded cockpit, where guests can dine alfresco at the large table with sofa seating or stretch out on the starboard sun pad. 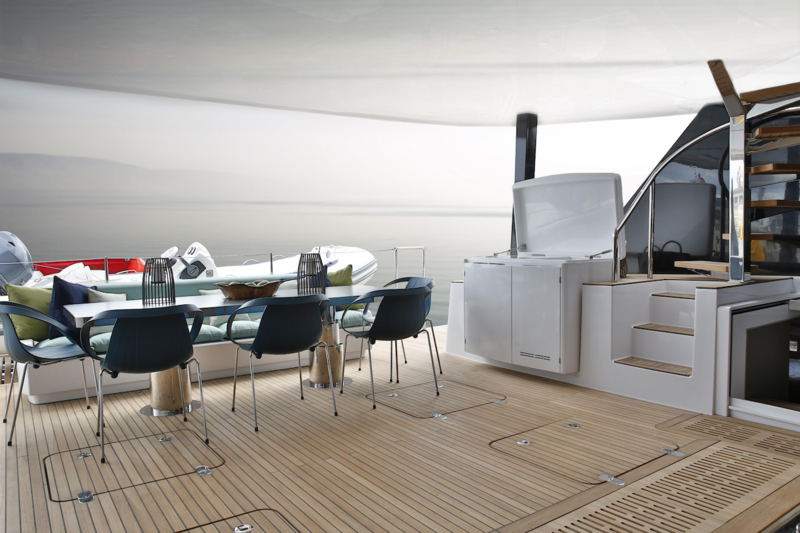 From the main deck, a staircase leads up to the flybridge where an abundance of sun pads cover the forward and aft areas. 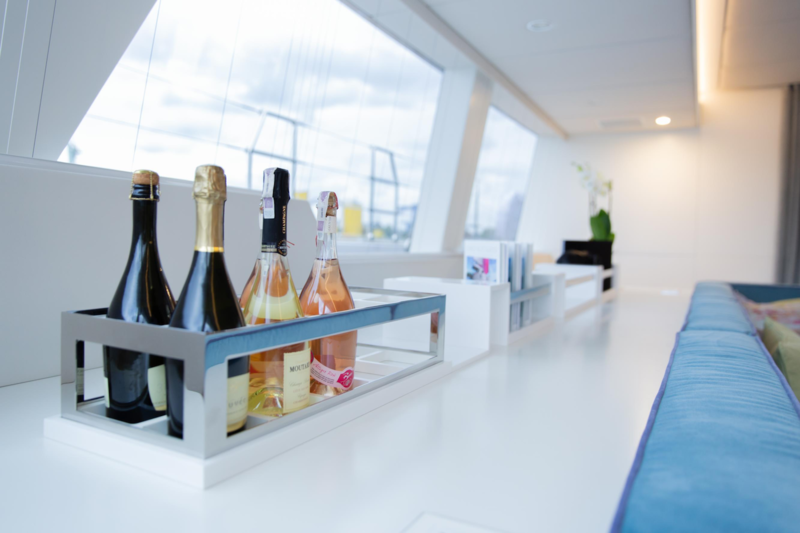 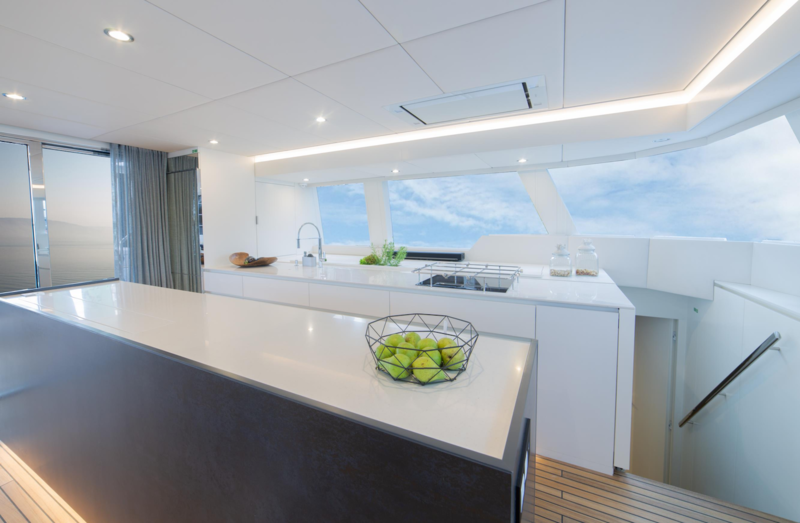 The central area places a wet bar to one side and the middle provides seating for alfresco lounging and meals. 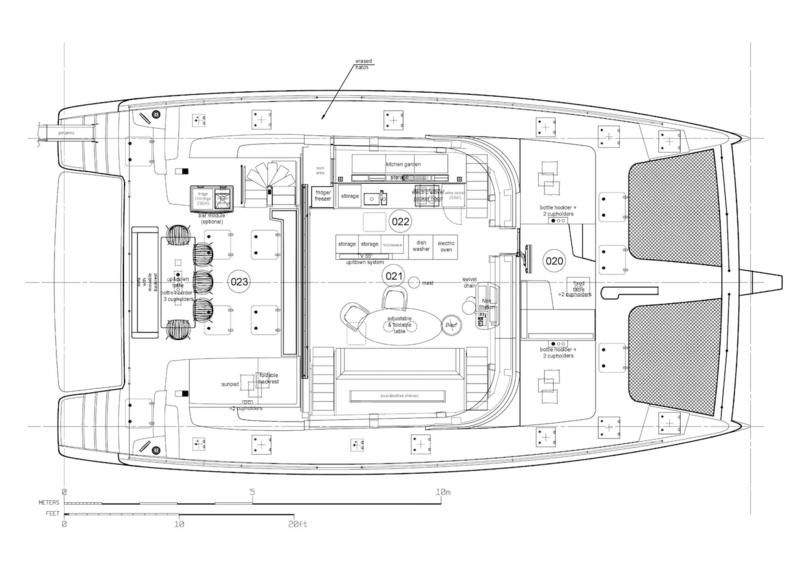 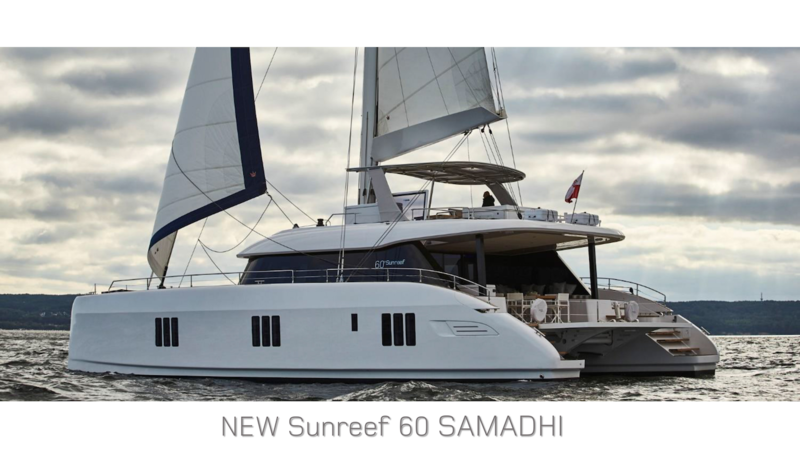 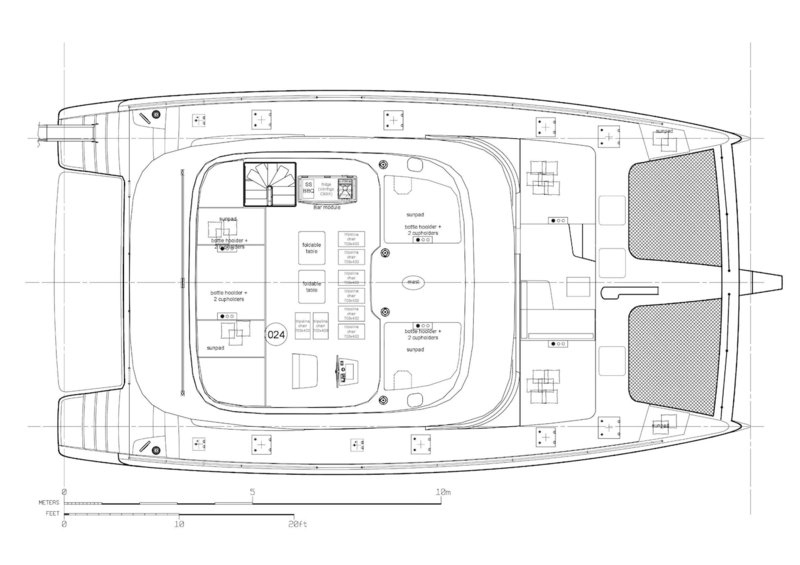 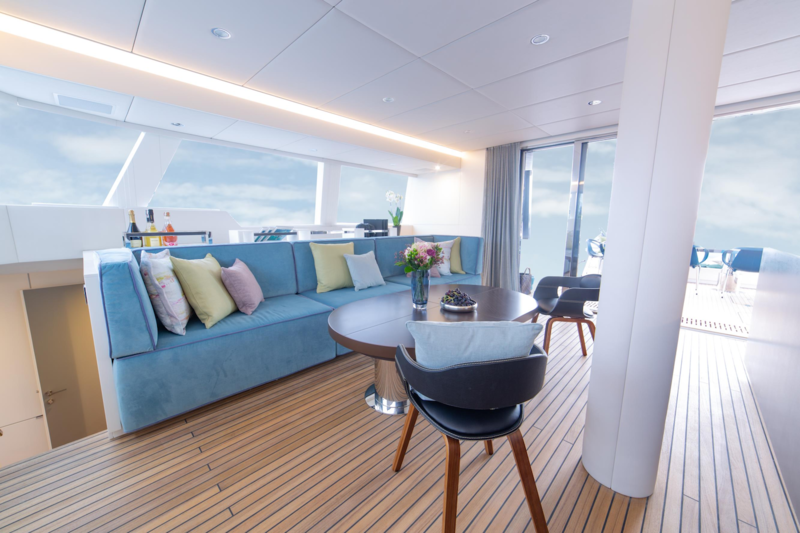 The foredeck cockpit has an L-shaped sofa where guests can rest and watch the TV or sunbathe on the double-sized sun pads on each side. 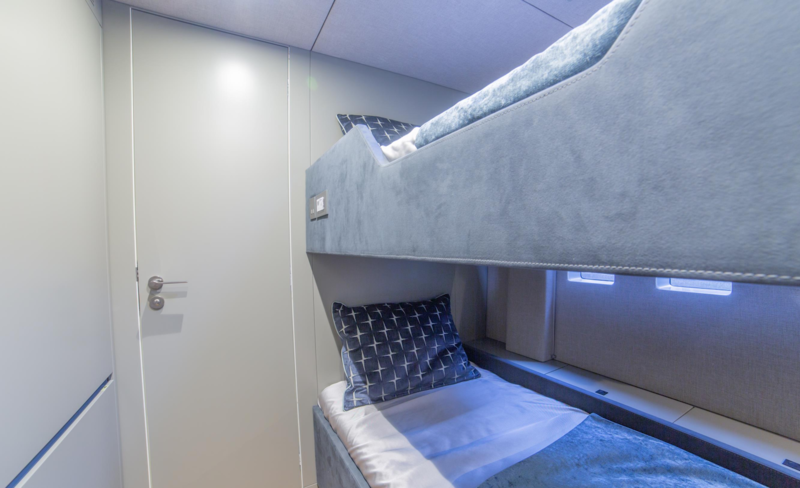 Forward, two trampolines create a fun exercising spot for children and an enjoyable place to sunbathe while listening to the seawater against the hulls. 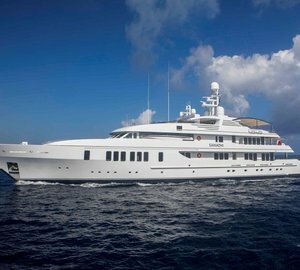 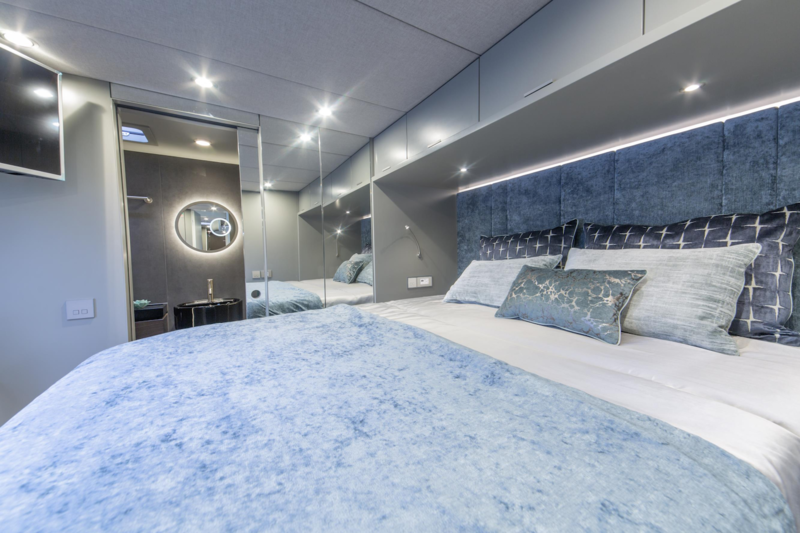 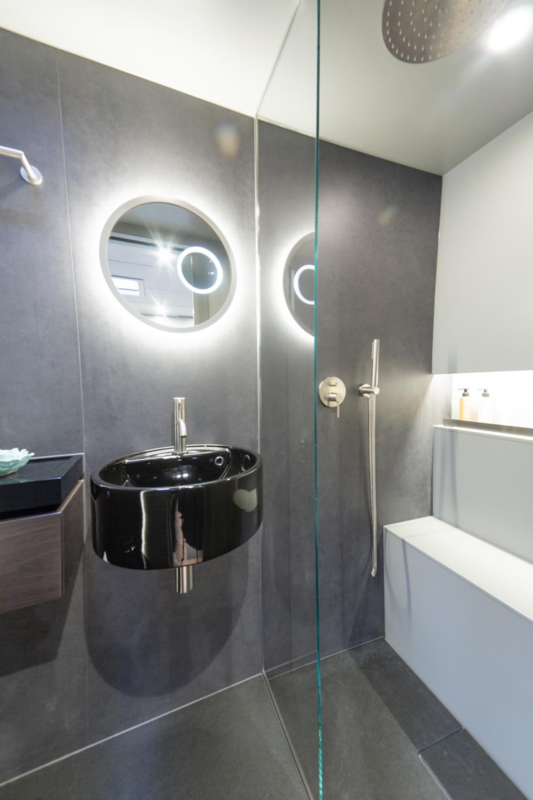 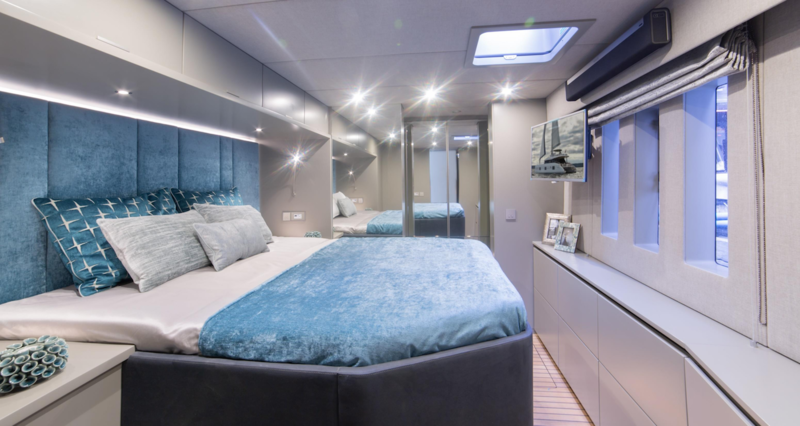 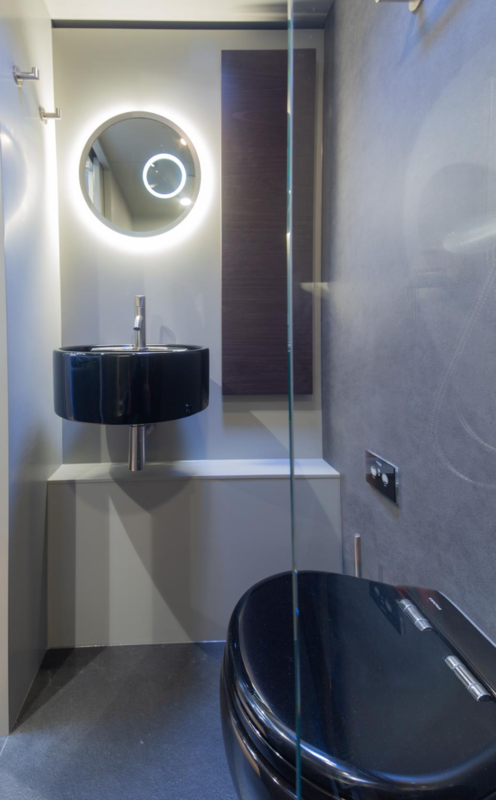 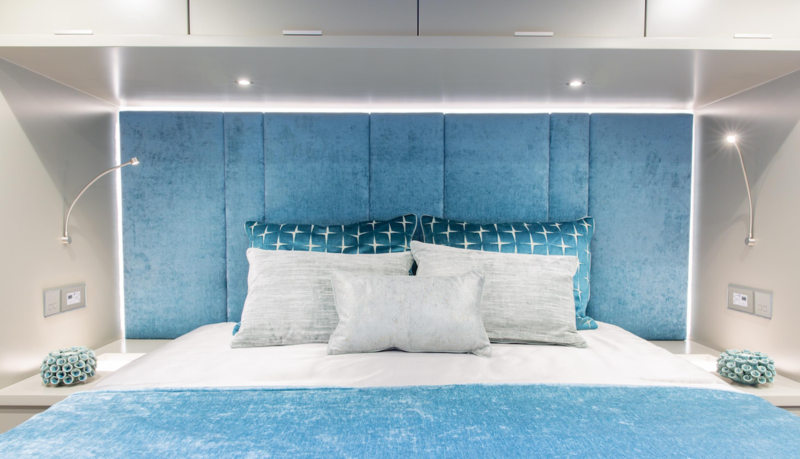 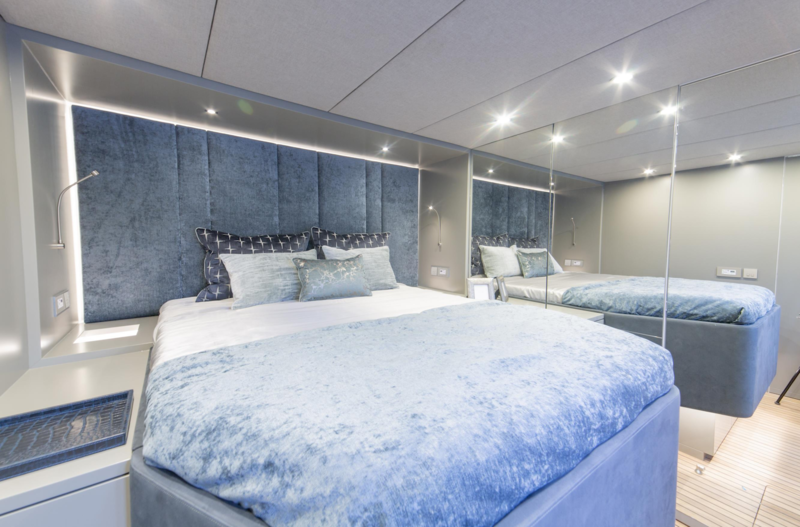 On the lower deck, the port hull places the crew accommodation in the stern, leaving the mid-section for a Master suite containing a large wardrobe and desk with direct access to the private forward bathroom. 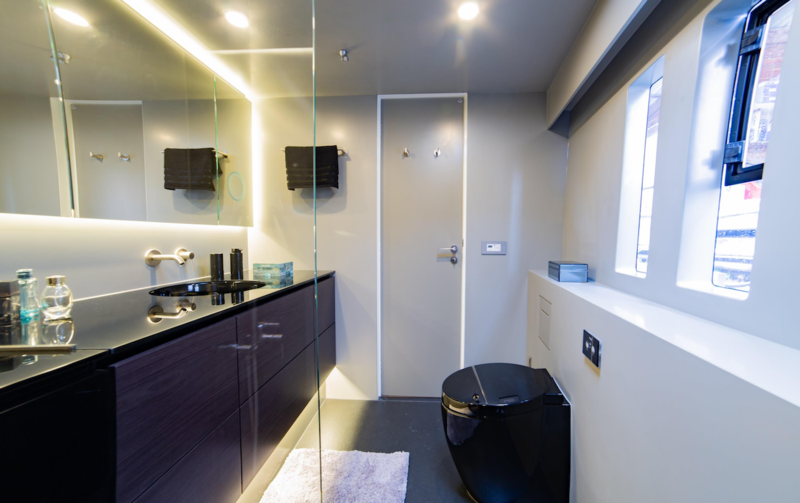 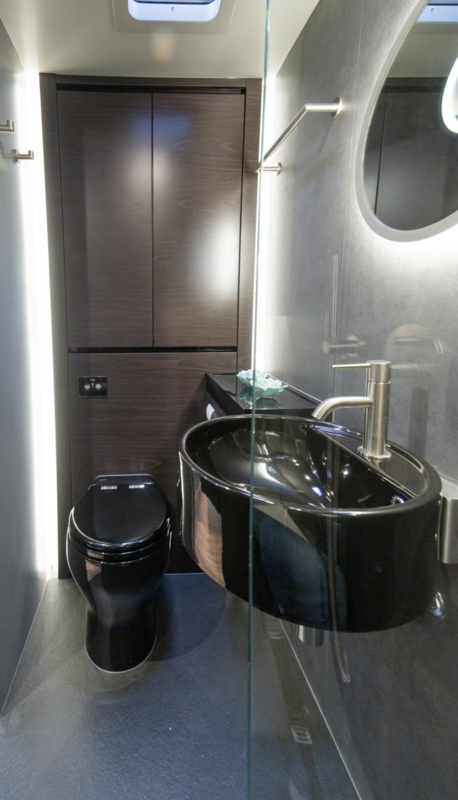 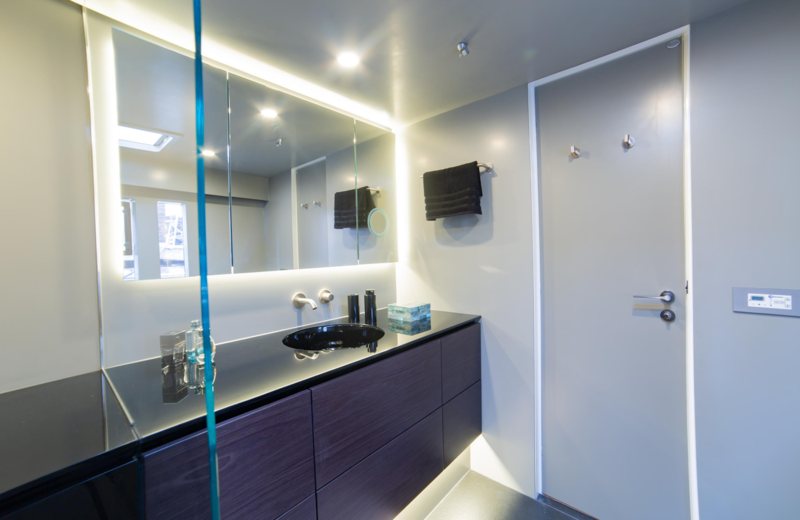 The starboard hull contains three generous double cabins each with their own bathroom. 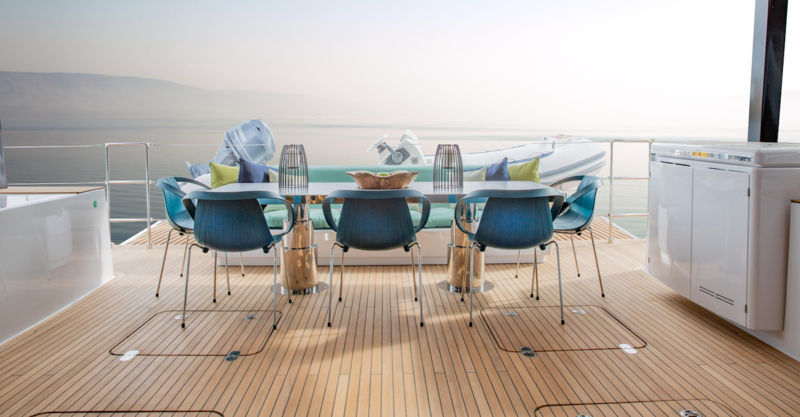 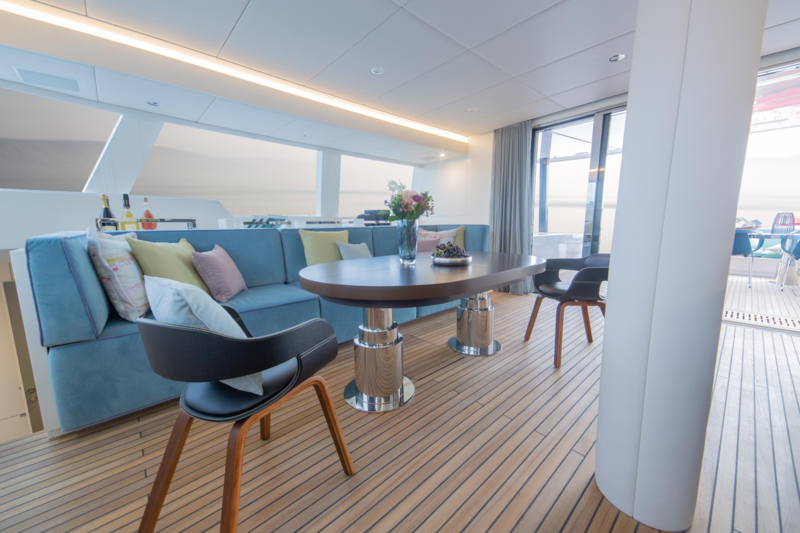 On the main deck, the bright and airy salon uses a contemporary colour scheme of pale woods and pastel shades of green and blue combined with strong dark accents in the table top and galley facing. 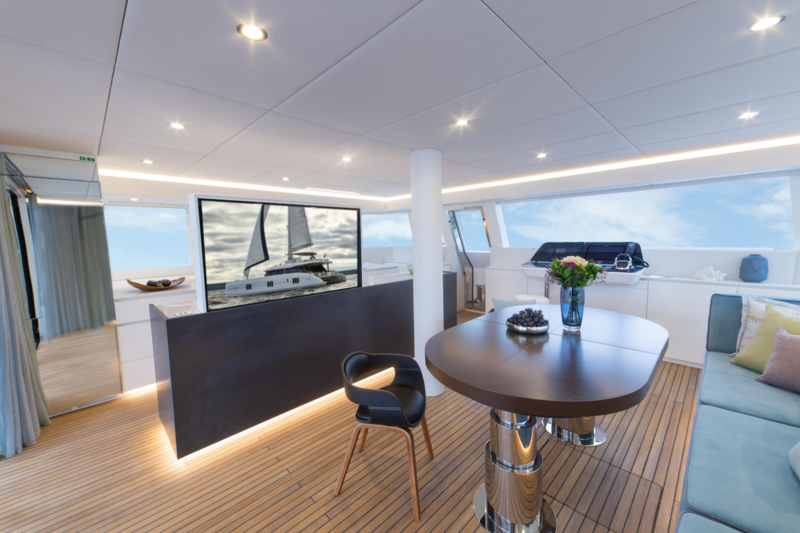 The galley takes up the port side of the room while opposite a grand oval table, integrated sofa and additional chairs form a casual area for meals and relaxation. 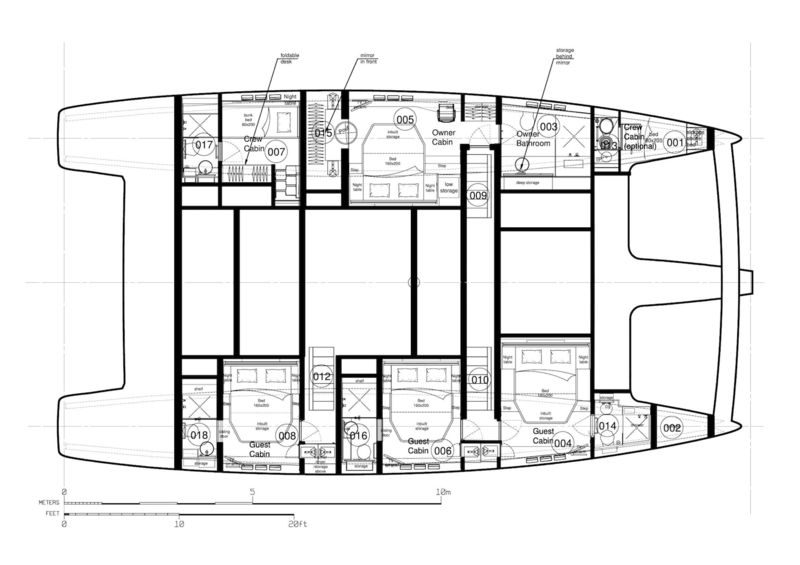 For a greater connection to the environment, while remaining indoors, the aft glass sliding doors can be opened to connect to the rear cockpit. 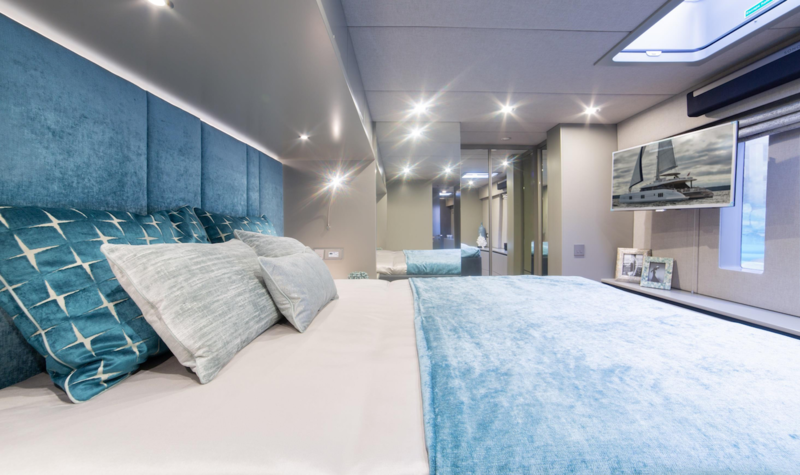 The accommodation sleeps a maximum of 8 guests over 4 sizeable en-suite cabins: 1 Master suite and 3 double cabins. 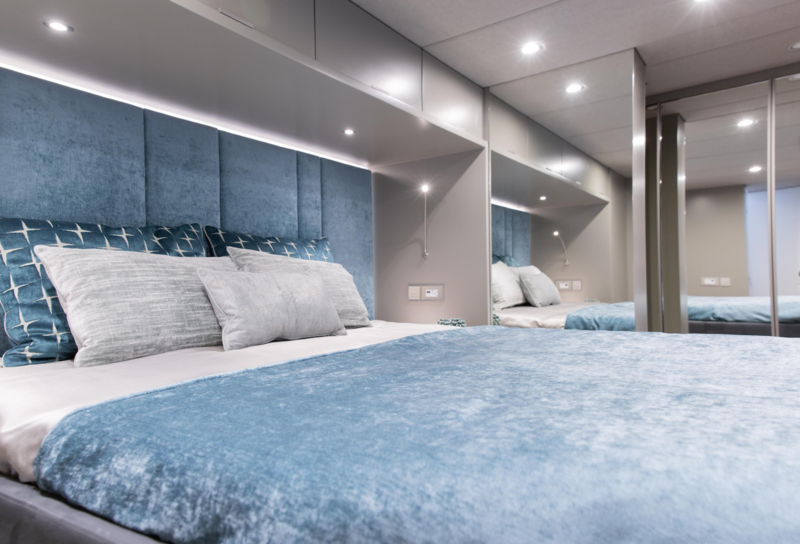 The crew of 3 will ensure that every guest on board is well taken care of throughout the cruise.